The CBD industry can sometimes be a tricky one to navigate. Many products can leave customers confused by all the jargon and unsure what they are really getting for their money. At Cannadonia we dont think things should be that way. We use Full Spectrum CBD in all our products and will always be totally transparent in letting our customers know what they are getting. Full Spectrum generally refers to CBD oil products that not only contain CBD, but also contain all terpenes and other cannabinoids such as CBG, CBN. Usually these will be in ratios that were naturally occurring and extracted from the plant and specific strain. 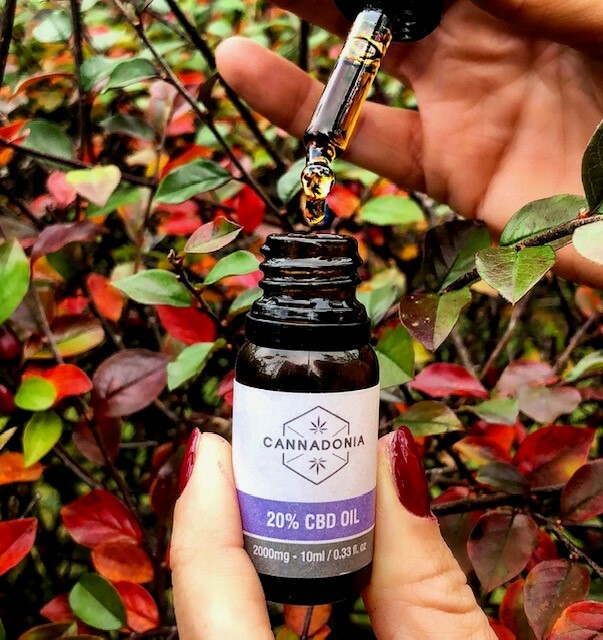 The THC found in Cannadonia full spectrum CBD products is minimal, less than 0.2% (verified with independent lab reports) In full spectrum CBD oil, there is nothing held back or left out. Whole-plant extracts typically contain a carefully measured amount of the cannabis plant’s most prominent cannabinoid, THC, although usually not in a large enough amount to have any psychological effects. In many countries, including the UK a certain percentage of THC is illegal, so it is vital to know the amount of this cannabinoid when manufacturing products that contain full-spectrum CBD. With Full Spectrum CBD oil products, you have the advantage of something called the “Entourage Effect.” This is where all the cannabinoids and terpenes are working together in synergy, something that Isolate products will lack. Usually, these products will have nothing but CBD in them because the CBD has literally been isolated from everything else. You can find pre-made isolate oils that typically consist of a carrier oil, such as MCT Oil, infused with the crystalline isolate powder. You can also find the “raw” crystalline powder or slabs (a form of concentrate) on its own. The downside of this method is that it neglects to take advantage of the possible holistic benefits of full spectrum products. Isolate CBD provides you with the benefits of CBD and CBD alone. It does not take advantage of any of the rest of the materials and chemicals that are present alongside CBD in the cannabis plant.